She has been called “a brilliant light shining in a sometimes dark world”, “an inspiring leader who grabs life with both hands” and “the hottest thing in Happiness!” Sophie Keller radiates light and personality on the page, stage and screen. 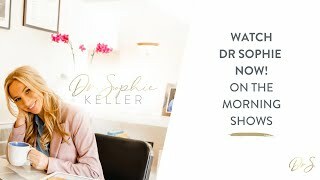 Happiness and wellbeing expert, Dr Sophie Keller is a founder and COO of the award-winning Village Workspaces. A luxury shared office space brand in Los Angeles designed with wellbeing at the heart of the aesthetics. She is also the best-selling author of four books on happiness … How Happy is Your Love Life? How Happy is Your Health? How Happy is Your Marriage? And How Happy is Your Home? As a keynote speaker and consultant, Sophie shows individuals and organizations how to create modern and culturally expressive office spaces that encourage teams to become happier, healthier, connect more harmoniously and flourish at work. As an international speaker she has worked for Capital Group, Gano Excel, The British American Business Council, Unruly Media and CASS Business School. Sophie is often asked to be a Wellbeing Brand Ambassador to Fortune 500 brands who wish to align their products with happiness and need a spokesperson in the media, as well as help with their wellbeing messaging; including Bank of America and LG Electronics. She is a frequent contributor to FOX, NBC, ABC, CW and CBS. And has had her own Balanced Life segment series on Tribune’s KTLA 5 Morning News and on Good Day Chicago called How to be Happy at Work. Sophie is regularly featured in publications such as the Times, Self, Whole Living, Woman’s Own, Redbook, Family Circle and Woman and has contributed over 100 articles to The Huffington Post. Sophie gained her first-class honors degree at the prestigious Central School of Speech and Drama in London. She worked extensively as an actress and was critically acclaimed in the US for her lead role as a doctor on ABC’s drama Gideon’s Crossing, which inspired her to become a doctor herself. With a passion for the field of happiness, Sophie’s PhD focus is on how to use wellbeing principles as the conceptual basis for the physical planning of a coworking spaces. Sophie lives in Santa Monica with her husband and young son.